Laboratory Equipment suppliers John Morris Scientific , are pleased to offer the Fritsch Analysette 12 DynaSizer laser particle sizer, which uses a dynamic light scattering technique to enable the measurement of particle size distributions between 1 and 6000nm. When measuring particles with the DynaSizer laser particle sizer only small sample volumes of < 50 µl are necessary. These particles are applied directly to the optical measuring cell inside the instrument, therefore making disposables, such as cuvettes, obsolete. When measuring the thickness of a sample with the DynaSizer laser particle sizer the strength of the measurement layer can be variably adjusted. This enables the measurement of extremely thin layers and prevents unwanted multi-scattering effects. It also facilitates the measurement of highly concentrated suspensions as well as in opaque media. 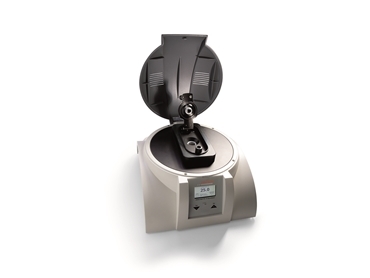 It also has an extremely wide concentration range which can be adjusted to enable the measurement of very dark samples or high particle concentrations of 0.0003 % up to 40 wt %.